Moscow had been the capital of Russia for centuries before Peter the Great moved the seat of government to St Petersburg in 1712. It became the capital again in 1918 after the Bolshevik Revolution. The British government formally recognised the Soviet Union in 1924 and Robert Hodgson, who had been in Moscow since 1919 as head of a commercial mission, was appointed chargé d’affaires in that year. He continued to live and work in the house on which he had taken a lease in 1921 at 46 Varovskaya (now Povarskaya): a solid, Art Nouveau, two-storey building, with its rooms arranged round a double-height hall. Diplomatic relations were severed in June 1927 when Britain accused Russia of espionage, and Hodgson was withdrawn. In his absence, British interests were looked after by the Norwegians, who renewed the lease on the so-called Hodgson House at London’s request. Relations were resumed in December 1929, and Sir Esmond Ovey was appointed Britain’s first ambassador to the Soviet Union. He moved into the Savoy Hotel in Moscow, where his diplomatic staff was already living and working, because the Hodgson house was full with commercial and consular staff. With over a dozen UK-based staff, Moscow was already a large embassy. 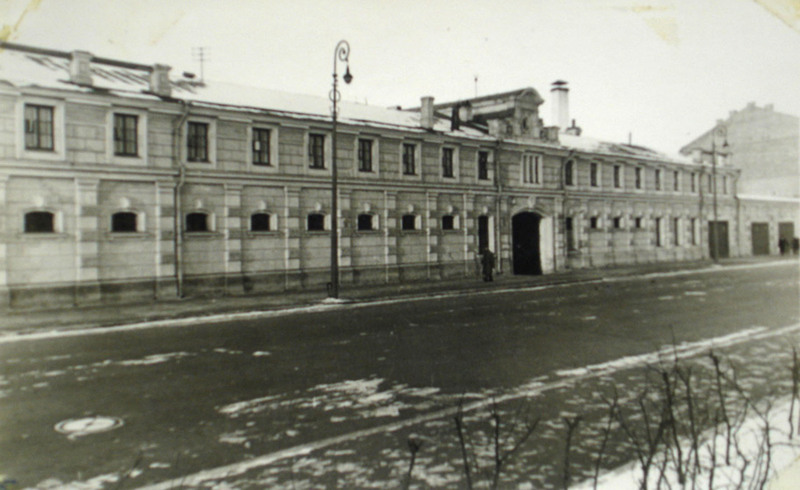 Ovey’s first idea was to take over the Hodgson house as his residence and find another building for the staff, but in mid-January 1930 the Central Bureau for Assistance to Foreigners, BUROBIN, showed him a house at no.14 on the Sofiskaya Embankment that had belonged to the Charitonenko family, and had a magnificent view of the Kremlin across the river. Pavel Ivanovich Charitonenko had built up a large business growing and refining sugar beet and in 1879 could afford to buy this site and in 1891 to demolish the house that was on it and start to build his own. He employed V.G. Zalessky as architect for the house and other buildings and Fyodor Shekhtel for the main interiors. It had been an open secret that this house might be offered to the British embassy but Ovey, with an eye only on a chancery building, had not looked at it before. He told Lionel Earle, Secretary of the Office of Works, on the same day that he visited it, that he was ‘very much struck with it’, particularly as he thought the house and its side buildings were large enough to house the whole embassy, and that he might be able to move in within weeks. He asked for an Office of Works representative to come and have a look as soon as possible and Hewlett Edwards inspected the house in February. Edwards thought it would do well and embarked on rent negotiations with BUROBIN. He reported that the sticking point was clearly going to be the 200,000 roubles (about £20,000) compensation that BUROBIN was asking for re-housing the numerous current tenants of the house. The Office of Works’ main concern was that this money would be entirely wasted if the embassy did not remain in Moscow for the long term. The figure also bore less resemblance to the realistic cost of re-housing tenants in Moscow than to the premium that the Soviet government had needed to pay on a house in Chesham Place in London. The first commissioner of the Office of Works, George Lansbury, told the Foreign Secretary, Arthur Henderson, that he was prepared to defend the proposed deal in the House of Commons because he thought that its terms were the best obtainable but he presumed that ‘as the matter is really more political than anything else’ Henderson would want to submit the case to Cabinet. Cabinet on 5 March was ‘unfavourably impressed’ and wanted further information from the first commissioner. A frustrated Ovey on 8 March reported two new developments from Moscow: a rumour that hotel prices were about to double, and a warning that an American concern with a large contract with the Soviet government was anxious to lease the Charitonenko house. The Foreign Office passed Ovey’s telegram to the Prime Minister’s office: Ramsay MacDonald merely annotated it ‘I leave it to the F.O.’. Lord Stamfordham, the King’s private secretary, told the Foreign Office ‘that His Majesty The King did not consider the present arrangements for housing the Ambassador satisfactory or dignified, and that he hoped an improvement could be made’. Cabinet approved the case at its next meeting, and a twenty-year lease on the Charitonenko house, with a £20,000 initial premium, was signed by Ovey and BUROBIN in June 1930, to run from that August at £4,000 per annum. On the same day, the Office of Works signed a construction contract with Gasso, a German firm, for a £20,000 programme of ingoing works to prepare the property to house chancery, other embassy offices, the ambassador and family, and his UK staff and their families. On the same day also, a new lease, for four years at £2,500 per annum, was signed for the Hodgson house, to provide both working and living accommodation for the commercial counsellor and the consul-general and their staffs: there was only room for bachelors. 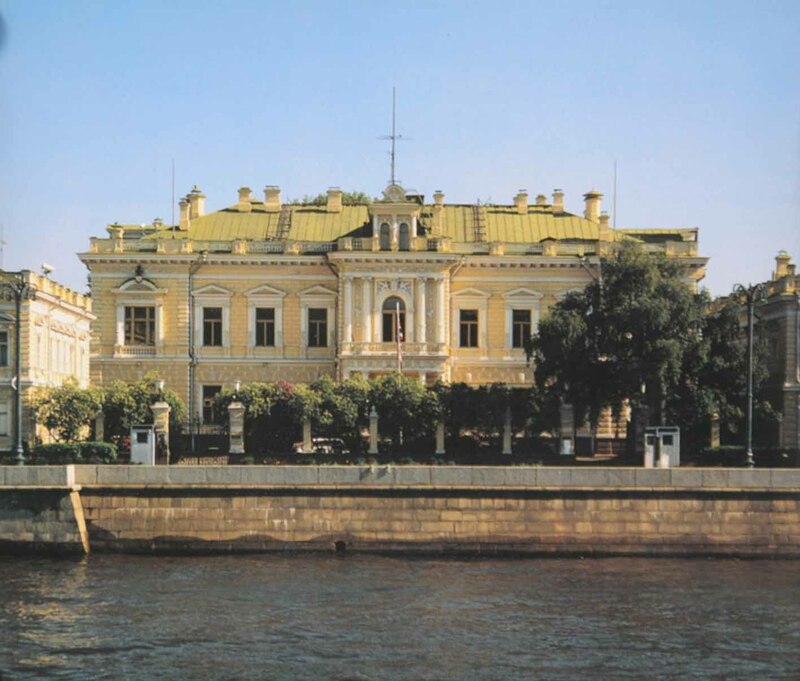 The Charitonenko mansion on Sofiskaya, across the river from the Kremlin. 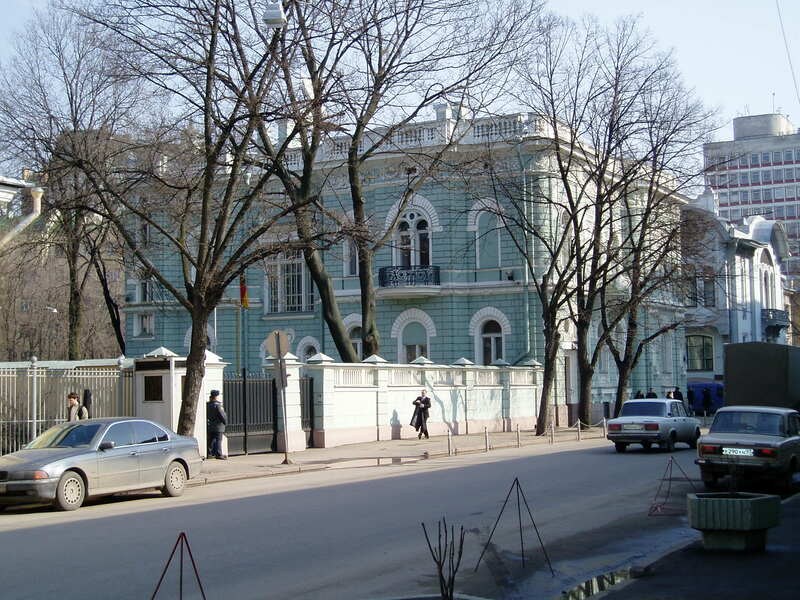 Ovey moved into the Charitonenko house just before Christmas 1930 and the rest of the embassy on 7 January 1931. The internal arrangements were far from ideal, and the services were unreliable. The ambassador lived mainly on the first floor but the dining room was on the ground floor and the kitchen in the basement. 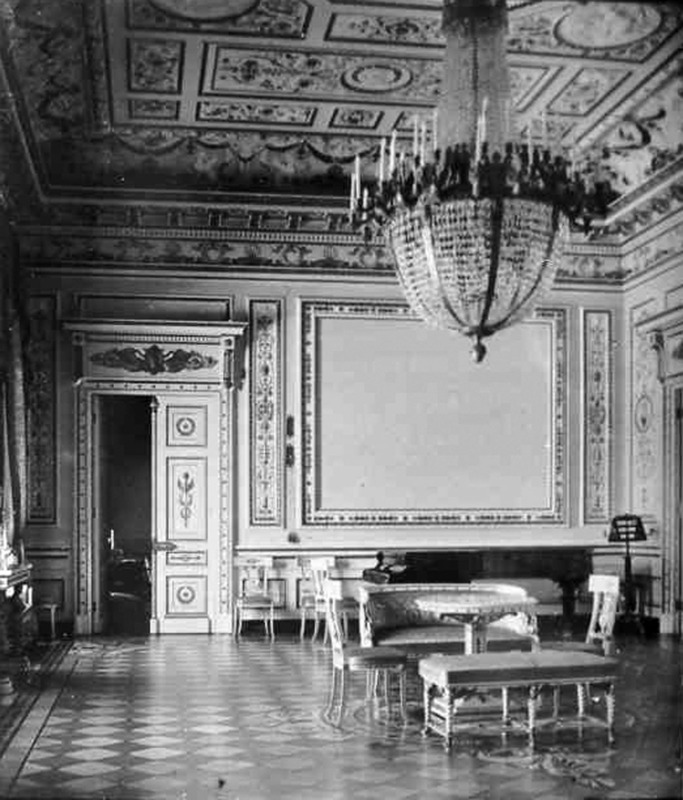 The main hallway served the residence above as well as being the chancery waiting room. 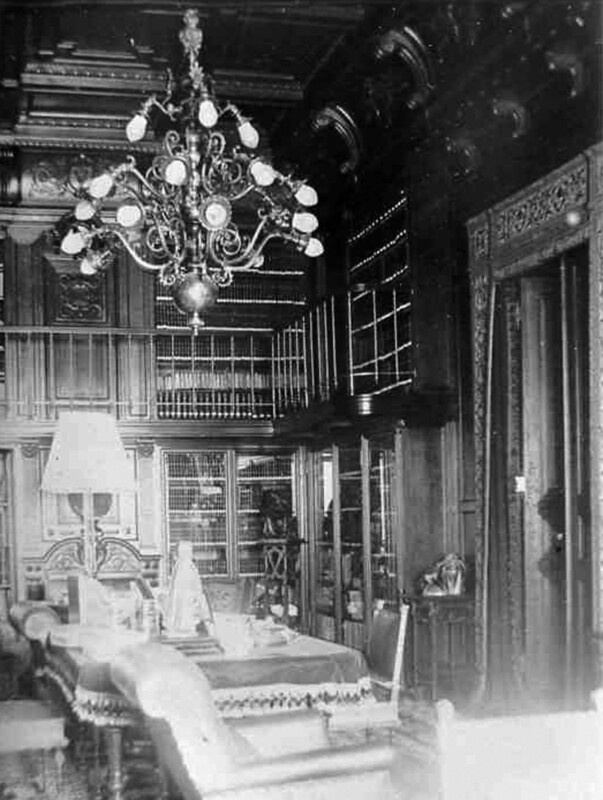 Secretaries lived in the wing blocks, and the ground floor library was their mess. The counsellor, William Strang, lived in a disjointed set of rooms on the ground floor, facing the garden. All the accommodation was very cold, the inefficient heaters produced noxious fumes and there was no running water. After this shaky start, the Charitonenko buildings housed much of the embassy, through thick and thin, for the next seventy years, except for one eighteen month period after Moscow came under dire threat of German seizure in the autumn of 1941. The Soviet Government instructed all diplomatic missions to evacuate the city for its fallback seat of government at Kuibyshev (now called Samara), on the Volga, about five hundred miles south-east of Moscow. The entire diplomatic corps was given eight hours notice to leave by train on 15 October 1941. It took nearly five days to reach Kuibyshev, where much of the Soviet government was already established. The 89 Britons were uncomfortably lodged at the barrack-like Pioneers’ Palace, but the ambassador, Sir Stafford Cripps, was able to rent a bungalow a few days later to share with senior colleagues and to house makeshift offices. The Hodgson House today (46 Povarskaya). 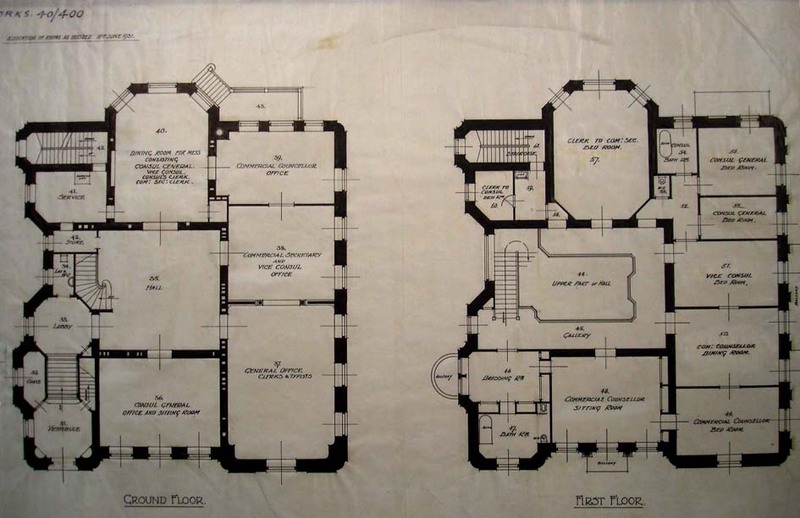 Ground and first floor plans of Hodgson House. 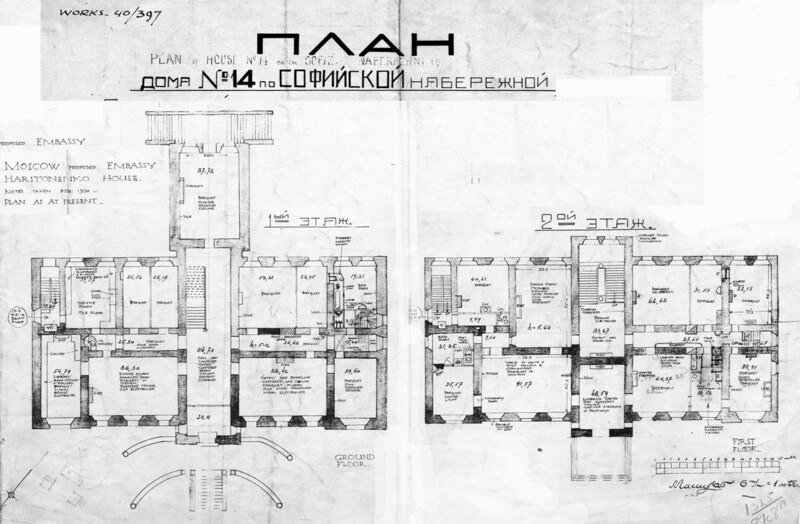 Ground and first floor plans of Charitonenko Mansion, with Edwards’ annotations, February1930. 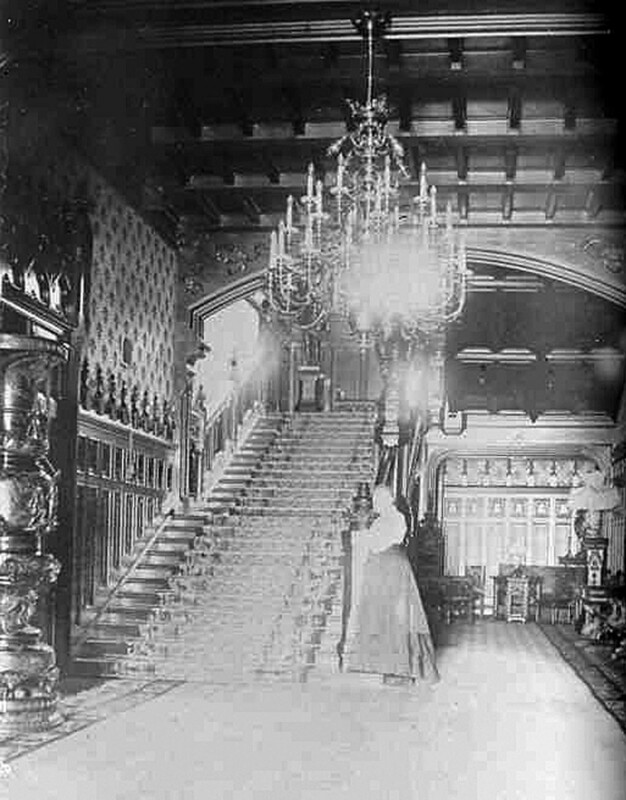 The main hall and stair, c. 1903. Street frontage of the stable block at the rear of the Mansion., c. 1950s.